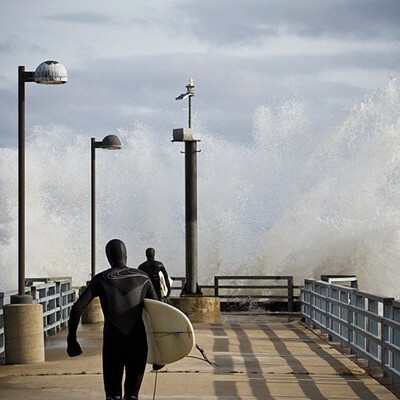 At the end of October, when the remnants of the devastating winds of Hurricane Sandy began churning the Great Lakes, a handful of men—a 45-year-old high school teacher, a 26-year-old engineering student, a 27-year-old union plumber, a 45-year-old concrete mason—suited up and made a beeline for the lakefront. 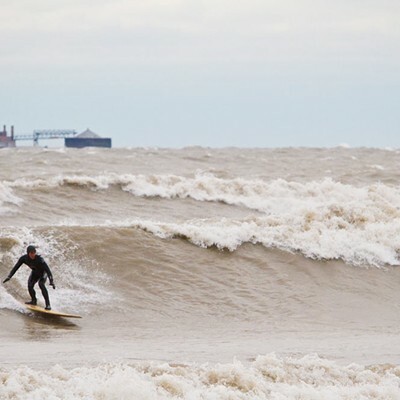 Shrugging off weather warnings, they aimed to seize the opportunity provided by howling winds that would eventually beget 21-foot buoy readings in the middle of the lake and eight-foot surfable waves. 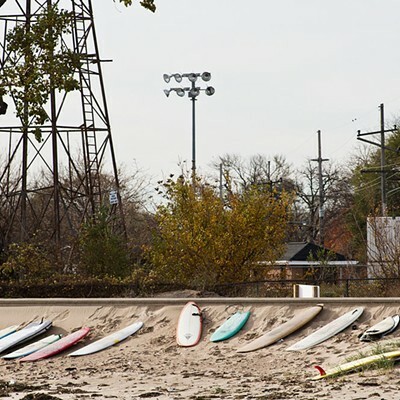 The shoreline that stretches from Chicago's south side at 57th Street Beach down to Gary, Indiana, doesn't quite inspire visions of bleached-blond dudes coasting on foamy white crests under majestic blue skies. 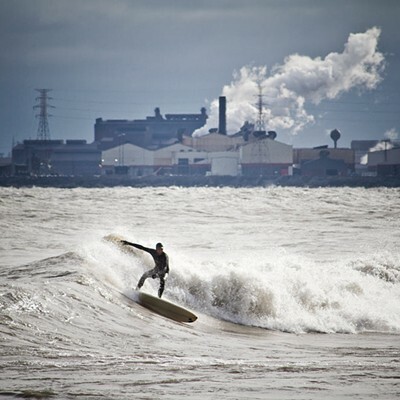 But the collective of hard-core surfers who paddle out into the lake year-round aren't concerned with friendly weather and postcard-perfect backdrops. 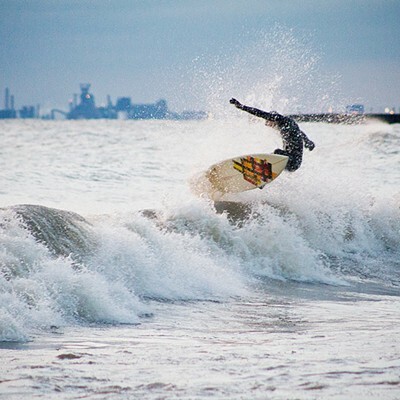 They just want good surf—an agreeable swell with big, clean waves they can comfortably roll in on. 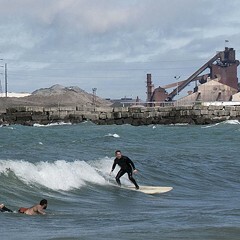 With industrial and urban landscapes forming the backdrop, 25-year-old Mike Killion—avid surfer and founder of the fledgling Great Lakes Surfer magazine—documented his friends as they made the best of what were the leftovers of an east-coast nightmare. 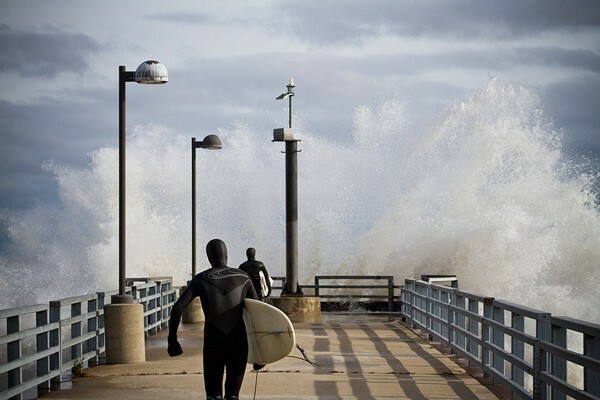 Altogether the storm delivered six days of impressive surf, according to Killion. 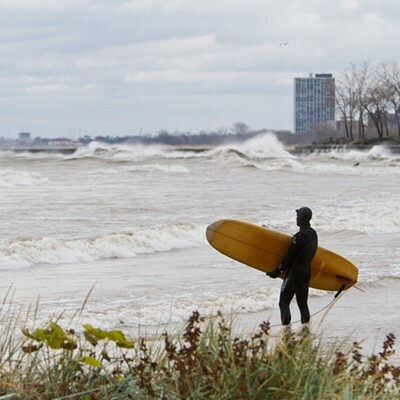 These shots—taken between October 29 and 31—are from the lake's most restless moments. 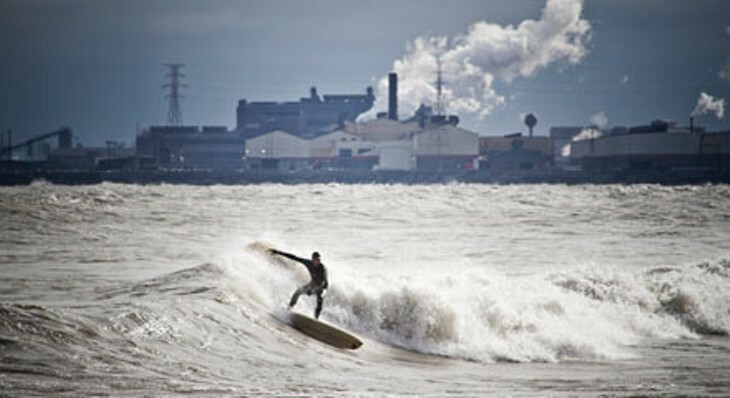 "People think the photos are Photoshopped with a fake background," Killion tells me. 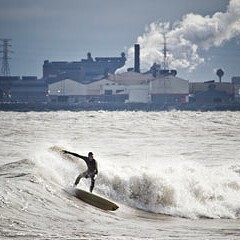 "No, man, we're surfing next to steel mills. 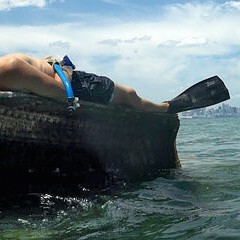 It's a whole different scene." 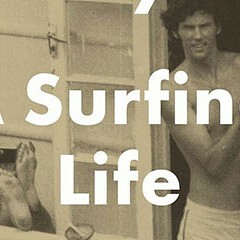 In Barbarian Days, William Finnegan reflects on a lifetime of surfing.